A Happy And Whimsical Small Square Shape Vintage Picasso Art Rug, Country Of Origin / Rug Type: Vintage Scandinavian Rugs, Circa Date: Vintage Mid 20th Century – Nothing captures the essence of the mid-20th century modern art movement like a artist Pablo Picasso. 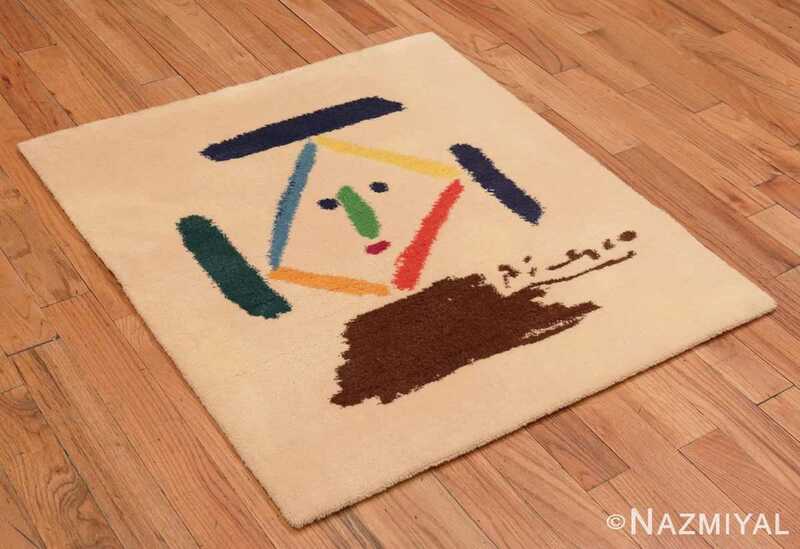 This fun and whimsical art rug was produced in the middle part of the 20th century and features one of the works the iconic Pablo Picasso. 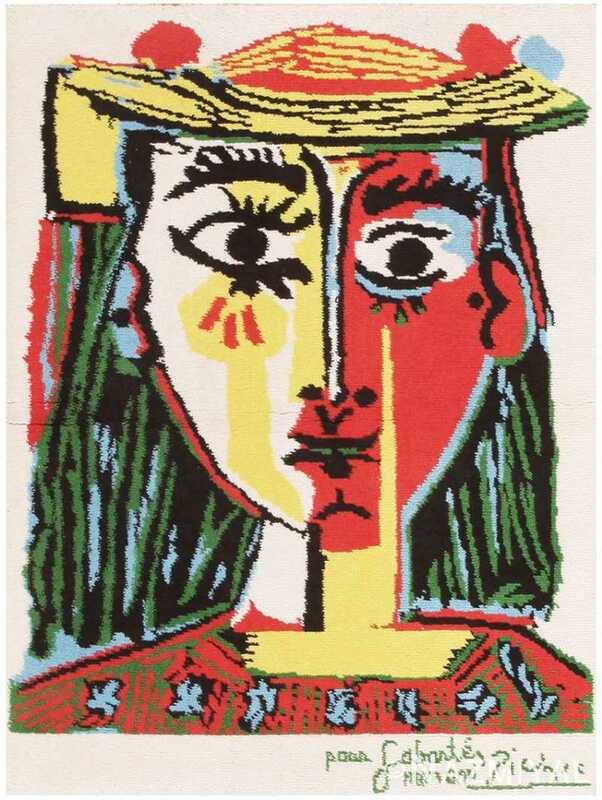 Picasso was a Spanish artist who produced works in many different media. 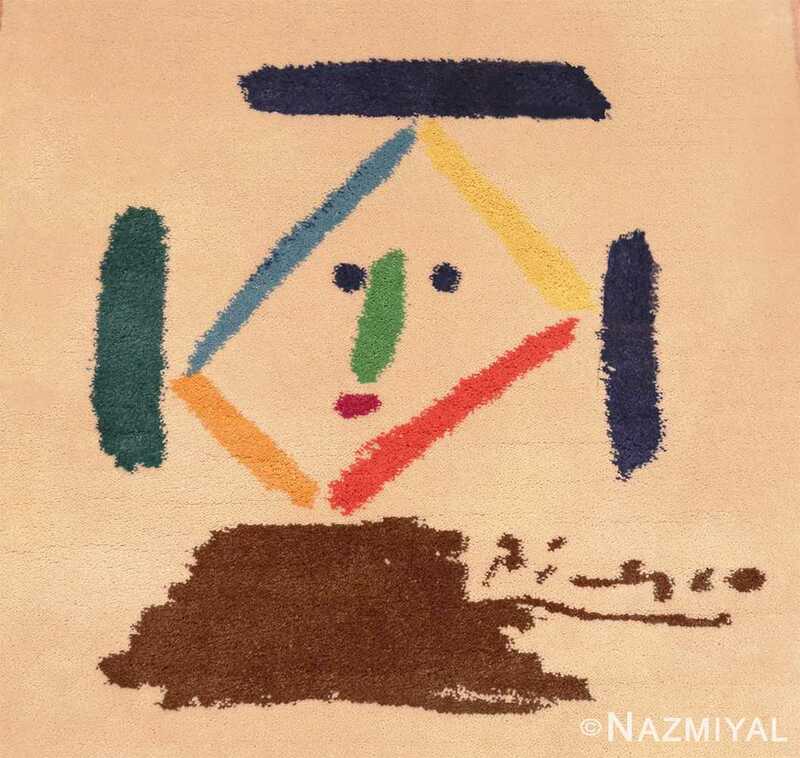 Picasso was responsible for introducing new concepts into the world of art, including cubism and various forms of abstraction. 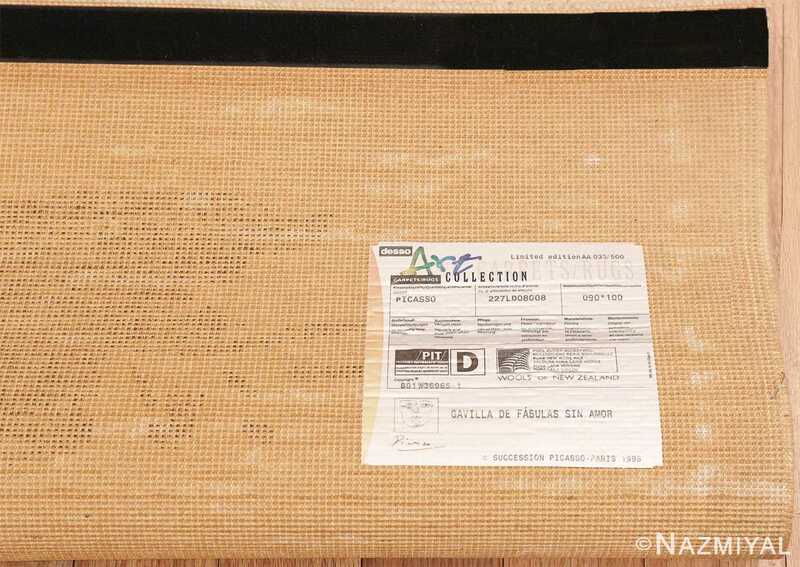 This vintage Scandinavian rug features a simple, whimsical abstraction by Picasso. 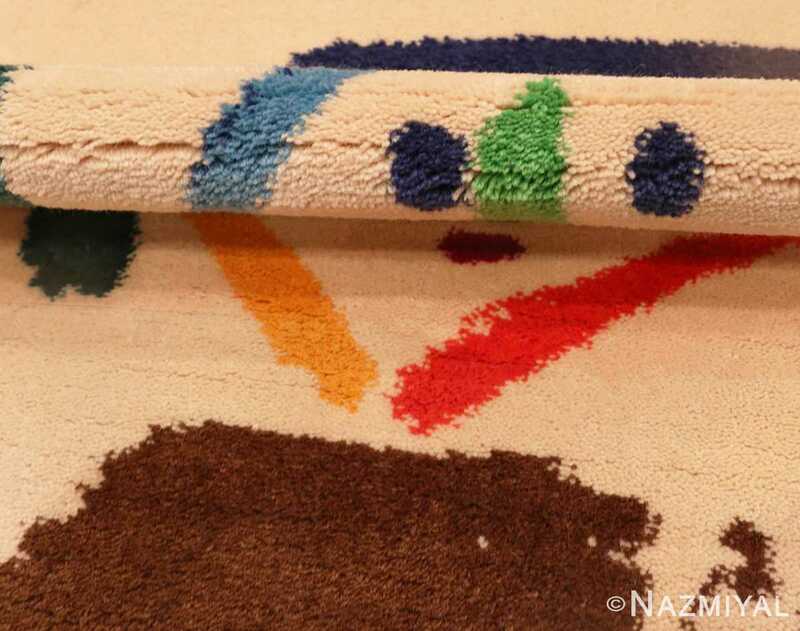 This piece uses vibrant primary colors, combined with an earthy brown, and set against an ivory background. This makes each of the elements stand out individually. Each element of the design could be examined for its own merit. 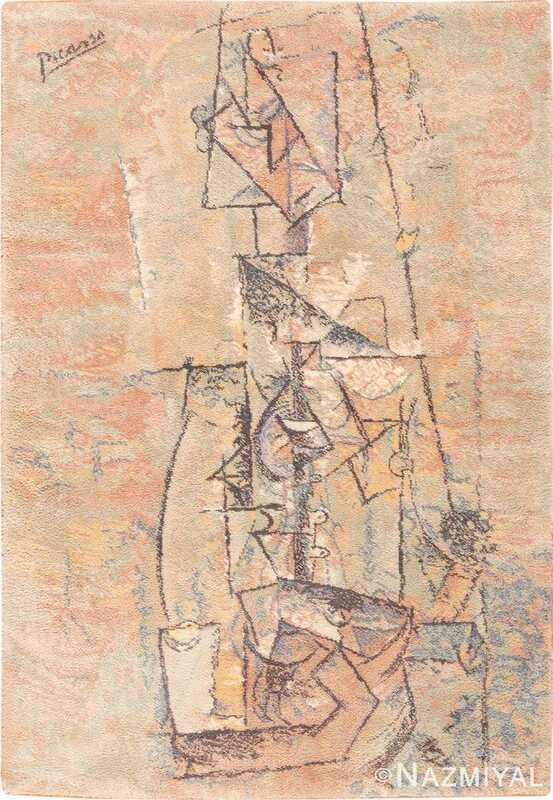 In this piece, Picasso used form to tie elements together, rather than color. 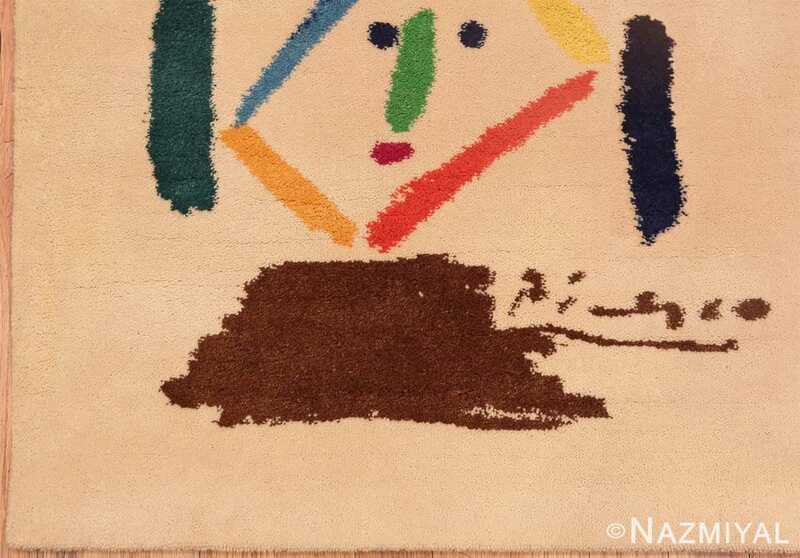 Many people are used to seeing more complex works by Picasso than this work represents. 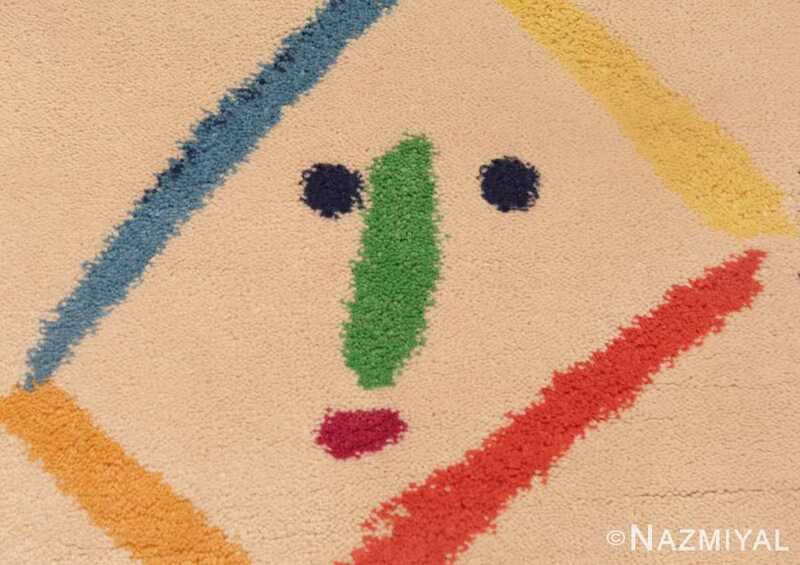 This vintage rug is a reductionist piece that explores the essential elements of the human facial form. The strokes are heavy and bold yet have the characteristic of appearing to be placed on the canvas with a crayon. 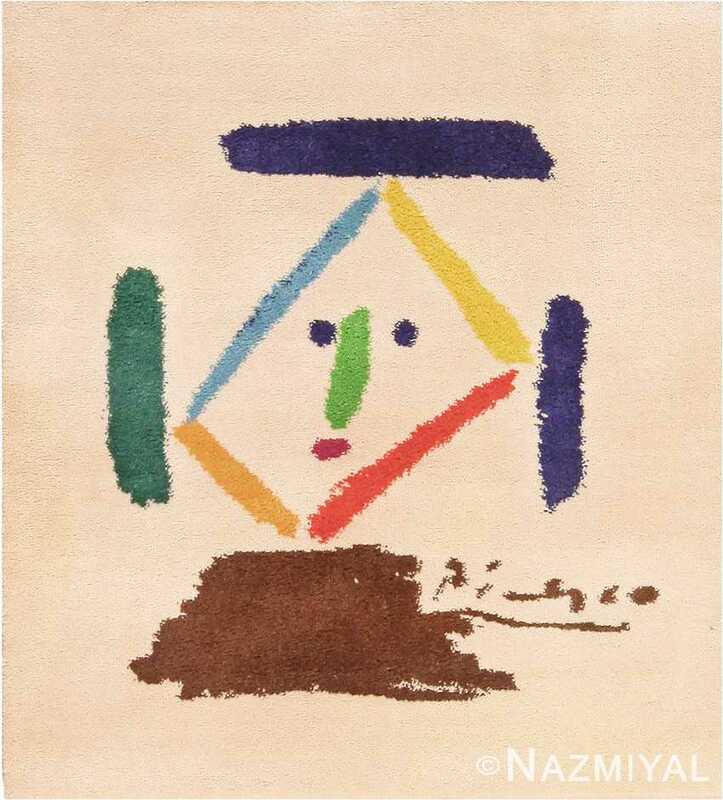 This technique is reminiscent of the simple works of a child who is just beginning to explore the concepts of self. The expression on the face is neutral, allowing the viewer to decide. The high contrast of the lines suggests that it represents a cheerful side of the human range of emotions. 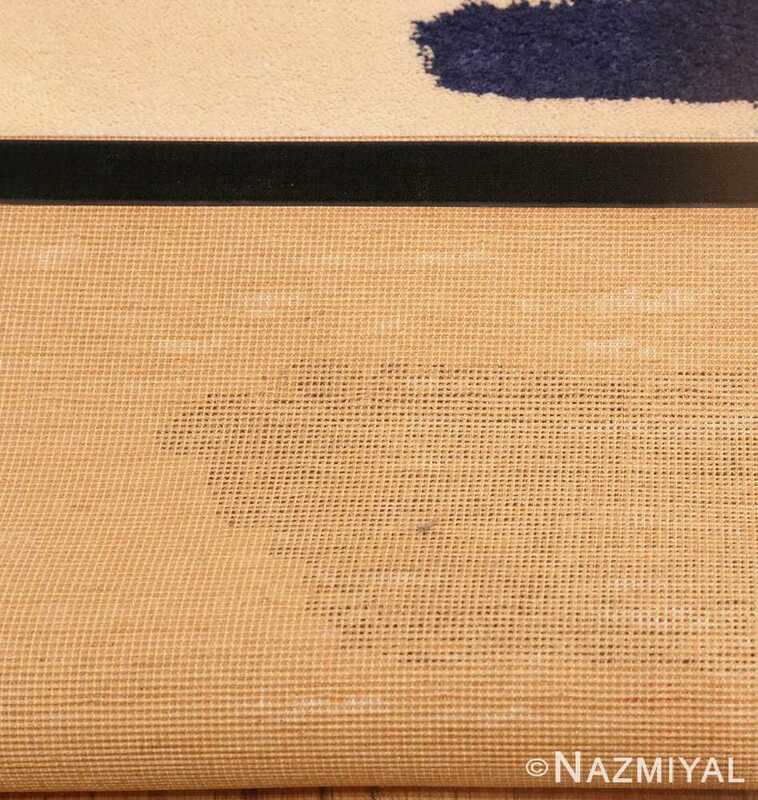 This rug would make an excellent addition to a mid-20th-century art collection, or in any contemporary design. Regardless of the space in which it is used, weather you use it as an area rug or a wall hanging tapestry rug, it will bring a smile to the face with its reminder of simpler times. This is an essential collector’s piece by an iconic mid-20th-century artist. 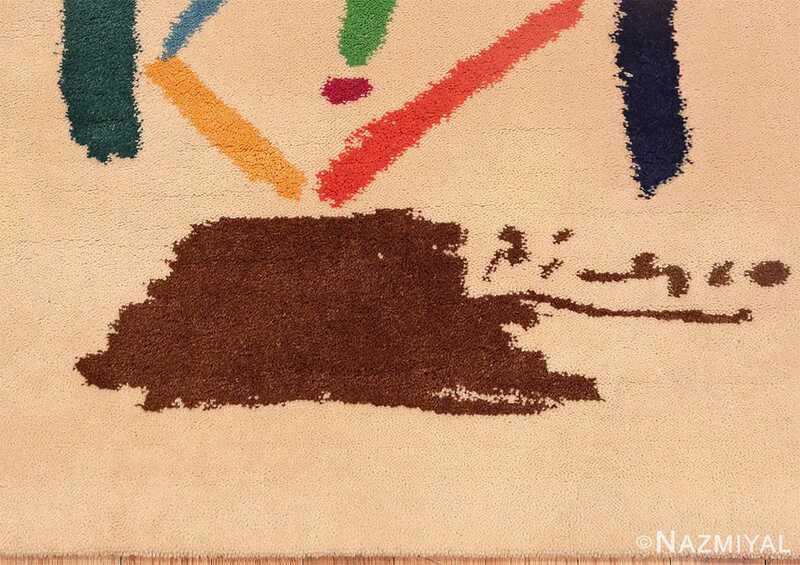 It is a small size drug and would be appropriate for mounting on the rug as a tapestry. It is versatile and should be used in many different applications within the design.